Dis vakansie én Biblioteekweek! Wie kan nou ‘n goeie boek en ‘n sonkolletjie weerstaan? 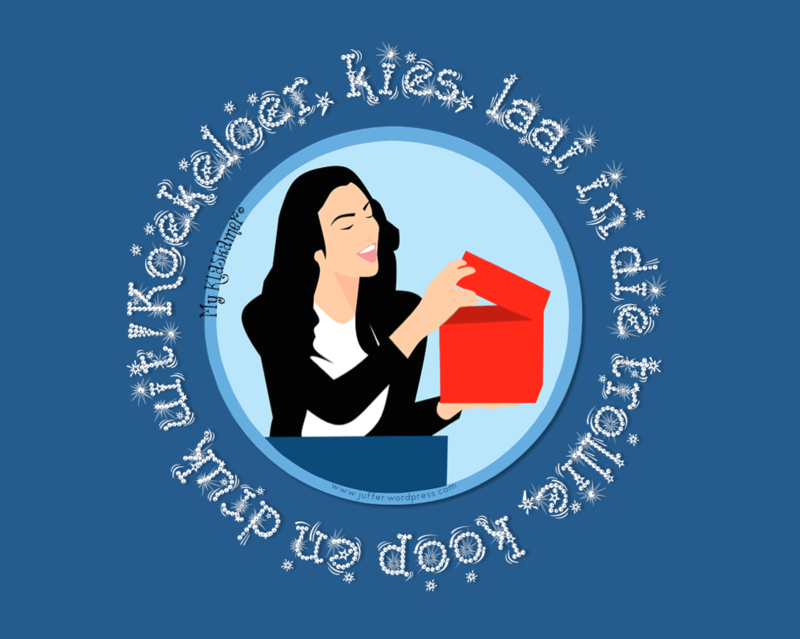 Besoek jou plaaslike biblioteek vir nuwe leesstof en loer ook ‘n bietjie na al die ander opsies wat hulle bied. Dra onpaar of kleurvolle sokkies op 21 Maart ter bewusmaking en ondersteuning van Downsindroom. Children are naturally curious about the world around them. Using that innate desire to discover how things work around them is the key to teaching engaging lessons that are sure to get your learners excited in class. The more practical and hands-on you can make your lessons, the more learners will want to participate and remember the concepts you’re trying to teach. First, use your class’ particular interests to develop your lessons. While you definitely have a curriculum to teach and standards that learners must meet, you can ask your learners what they are interested in about the world and use that information as a basis to create your lessons. For example, if they are interested in sea life, you can create lessons that involve using multimedia that shows animals and plant life under the ocean’s surface, or you could create a sink/float experiment that utilizes blue food coloring for water in a plastic tub and plastic sea animal toys that they can experiment with. Read books about the topics that they’re interested in, and use those as a basis to spark your learners’ interest in the science lesson. Ask your learners questions about what they already know about a lesson that you’re teaching as well. Note these on the board or a poster in the room. Then ask them what they want to learn. Address those questions if their answers come up as you teach. After you teach the lesson, go back to the poster or space on the board, and ask them to tell you what they learned from the lesson. This will help keep them engaged in the lesson from beginning to end by activating what they already know, getting them to think about what they want to learn, and then to reflect on what they learned. Finally, use as many hands-on experiments as you can. You can read about electricity and magnetism until you’re blue in the face, but when you use a battery, wire, and nail to pick up a paper clip in front of your learners, the information that you’ve been trying to teach will ignite an excitement for science that they may not otherwise experience. When it is safe and possible, have learners do experiments themselves and write down what they are learning. Create a scientific method sheet on which they write the problem, hypothesis, procedure, findings, and conclusion about their hypotheses. If they are too young to write, they can draw pictures of their hypotheses and then of what they found through the experiment. Make science as engaging for your learners as you can by leveraging their natural interests about the world around them and by offering them the opportunity to learn through hands-on experiments. If you discuss “rock and minerals” or “soil” consider filling a clear container with dark soil, sand and pebbles to point out the various layers or provide clear, plastic glasses so the learners could make their own examples. Should you refer to fossils, consider adding a layer of Plaster of Paris to a styrofoam plate. Press a shell into the plaster while damp and let it dry overnight. The learners could then paint it or keep it as it is. If you should refer to how the earth was formed, have clay or play-dough ready so the children could act out friction (rolling the clay) and pressure (pressing down on it). Use clear (self-sealing) plastic bags when you discuss the water cycle. Have the children draw a simple diagram in permanent marker on the outside and fill the bags with a little water. Seal the bags and tape it to a sunny window. Press lightly on these bags to mimic the tides and wait to see what happens inside when the sun shines on it or moves on. Another option is to fill a clear glass with clear water, spray a layer of shaving cream on top and then to drip blue food colouring on the creamy cloud to simulate rain. Does your class have a composting bin with earthworms? Consider stacking containers of the same size – punching holes through the bottom of the top container and creating a gap with stones or a rock in the bottom container. Add soil and a few earthworms to the top container – as well as pieces of damp newspaper and food scraps from lunch boxes (e.g. apple cores). Ensure that each child buries their scraps before closing the lid and soon enough the worms will provide vermicompost – which is very healthy for the school’s garden. Macmillan has created a range of guides for Foundation Phase teachers to help and guide them in different areas. These guides contain easy and practical ideas that can be implemented and tried without fuss. The resource guides focus on Life Skills, Maths, Science in the Foundation Phase classroom and Physical Education.